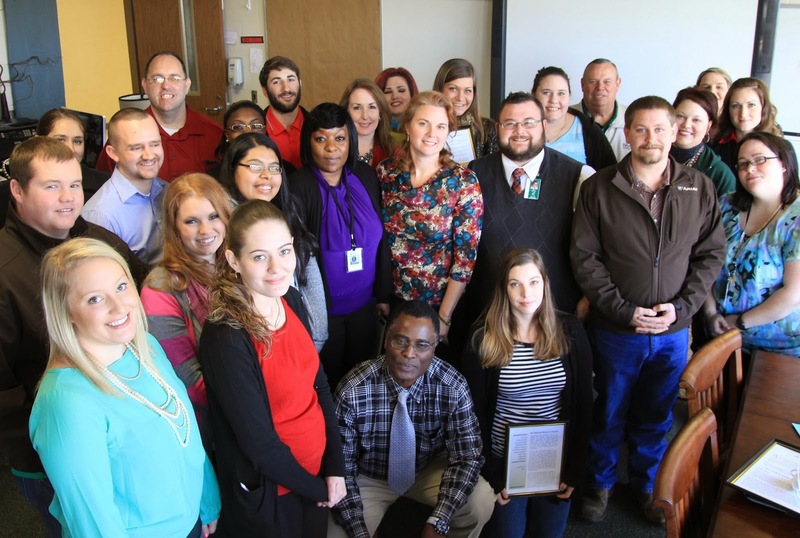 This past week, first year teachers from around the district came to our training room to be acknowledged and celebrated for completing our newly formed New Teacher Training Academy. 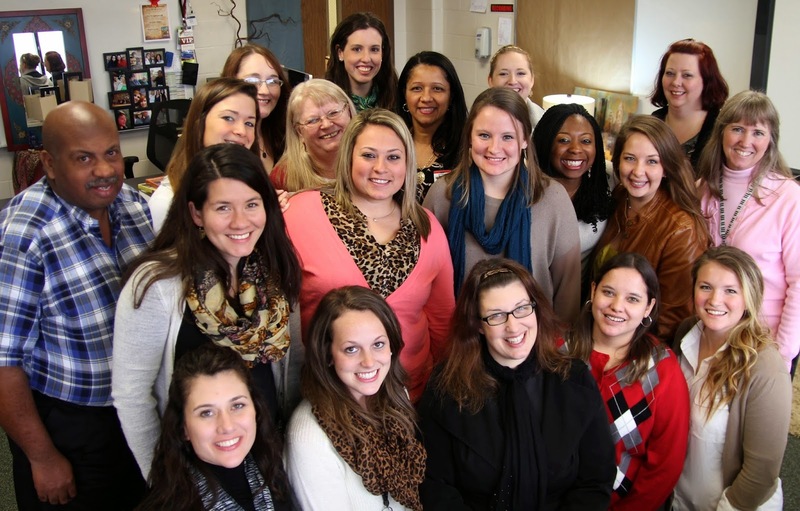 The New Teacher Training- K-5 School Teachers Class of 2014. HISD Superintendent Dr. Steve Johnson congratulates Huntsville High's Lisa Black. 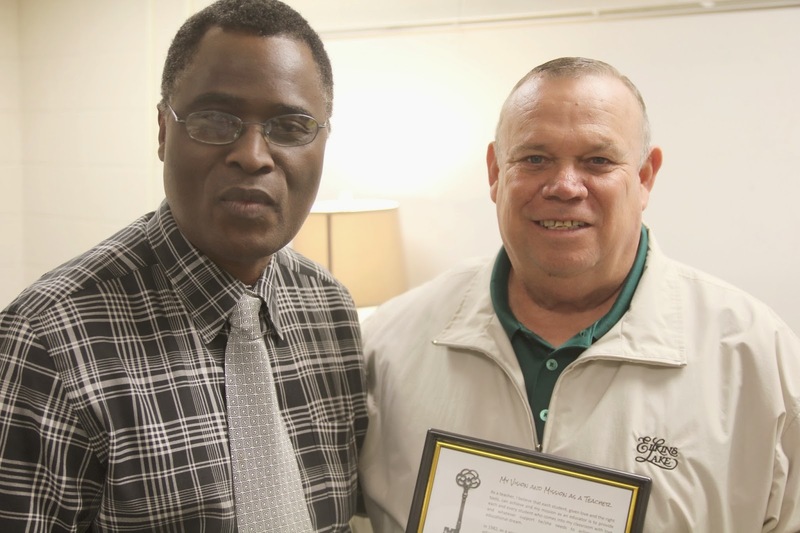 Celestin Gbae with Superintendent Dr. Steve Johnson. Celestin is originally from the Ivory Coast in Africa. 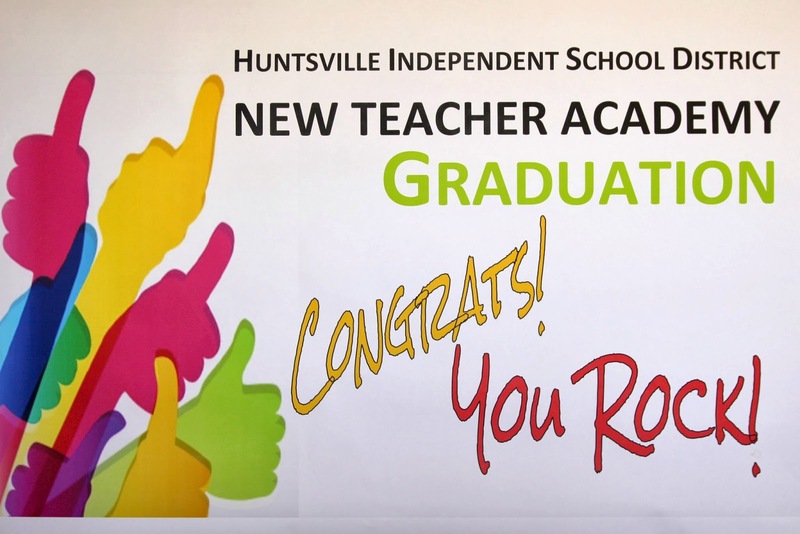 This last session, however, was a celebration and acknowledgement of what these teachers have accomplished, and also a public acknowledgement of the power they have to inspire and instruct through their enthusiastic passion and vigor, their ideas and their commitment. The New Teacher Training- 6-12 Teachers Class of 2014. Each participant spent considerable time envisioning their "Why?" statement..."Why am I here?"... "Why do I teach?" We all know that teaching is more vocation than "job," yet each teacher has their own distinct "Why?" and these new teachers put in the time to articulate their Mission and Vision Statement. Linda Grigsby then took each statement and created a graphic document for each one. "You're telling me it's that simple?" 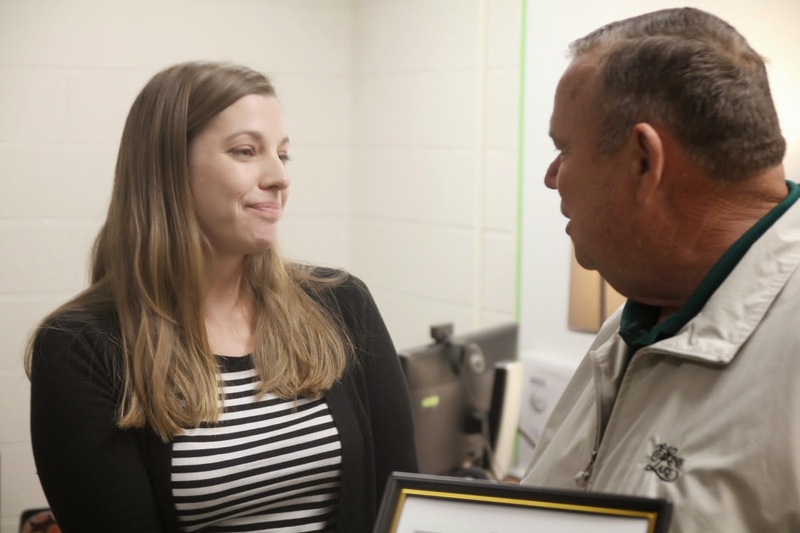 "I want my students to be self-confident, self-reliable and self-sufficient." Portions were read aloud over lunch, and our Superintendent Dr. Steve Johnson presented the framed documents to each teacher. as iTech Melissa Thornton reads from Taylor's statement. with (right) Dakota Alexander and Kim Beth Buchanan. focused with all the competing priorities, yet it's never about "us," it's about "them"- our students. This lunch celebration came at the end of an extensive process that took place over the past five months. Along with this envisioning exercise, the Academy also focused on nuts and bolts issues: classroom management, parent teacher communication, utilizing social media, standards and testing. Huntsville Elementary teachers Megan Smith, Jessica Hunter, Joeann Bon-Jorno and Jamie Pesl take a photo break. What is your mission; your vision?